Joseph Smith wrote Article of Faith 8: “We Believe the Bible to be the word of God as far as it is translated correctly.” But has anyone ever identified these errors? BYU professor Dr. Thomas Wayment has identified known biblical errors, such as this one! Thom: 1st John 5:7, that verse is forged in our Bible. When you go to Sunday School and you read 1st John 5:7, there is no scholar on the planet, I believe that would say that verse is original. We know when it’s forged. We know why it’s forged and so that’s comes out. GT: See, I’ve done a lot of Mark Hofmann stuff. So, this is fascinating to me. So tell me about that. What does the verse say and why do you say it is forged? Thom: It’s a trinitarian verse, and what I mean by that is it says that there is God the Father, the son, and the Holy Ghost, and these three are one. And so, the verse is forged, and I should have looked up the exact date on this. * But, we know exactly the century when this happens. There’s no manuscript prior to that. And when it happens, we believe it’s probably written in the margin at first, like “This is what this means,” or something and somebody migrates that into the text. So, in our King James [Bible], it’s a fascinating story how we have it. The person who put together the Greek text for our King James Bible went to his local ecclesiastical leaders and said, “This verse isn’t in my manuscripts.” And they produce a manuscript for him that has it, that’s a forgery itself. And say, “You better put this in.” We are confident this is a forged verse. This is going to be a very cool conversation. We’ll talk about biblical errors known by scholars, and which versions of the Bible are the best. This is a conversation you won’t want to miss! Check out our conversation…. 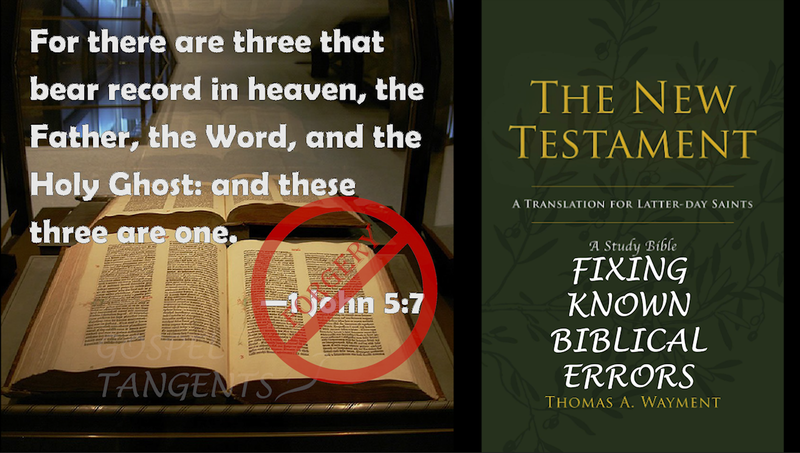 Dr. Thomas Wayment of BYU has a modern translation of the New Testament that updates and fixes known errors. Check out our other conversations with Dr. Thomas Wayment! *Later in conversation he says it was in the 14th century. 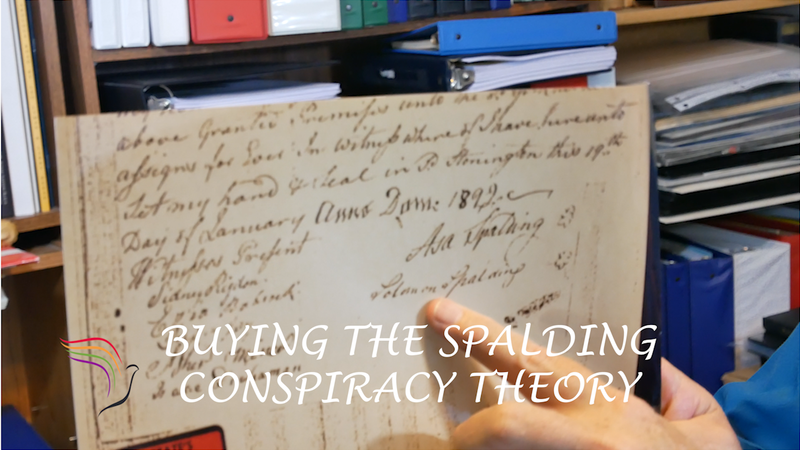 Mark Hofmann tried to create evidence of the Spalding Conspiracy. There has long been a theory that Book of Mormon was plagiarized from a manuscript originally written by Solomon Spaulding (or Spalding.) The problem with the theory is that there was never a connection between Joseph Smith and Solomon Spaulding—until Mark Hofmann came up with a document. Steve Mayfield talks about buying this Hofmann forgery. Steve: So, in January of 2000, the former owner of Cosmic Aeroplane sold it to Ken Sanders who used to work there. He now had his own bookstore there in Salt Lake, Ken Sanders Books. Well he had it on display and I’m just sitting there just [thinking], “Oh, oh, I love it.” But it was like $4,000 they wanted for it. Well, I had enough in a credit card, so I bought it from him. Steve: In August of 2000. So, for four years I owned a Hofmann. GT: You knew it was a forgery. Steve: Yeah, Yeah. I mean he sold it as that. The minute he sold it after I bought it, I take it back to the office and show George [Throckmorton.] He showed some things on the document that only he and I know. 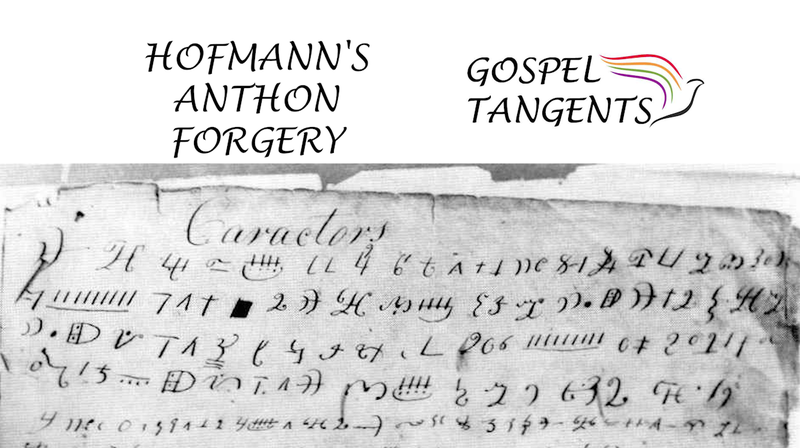 I guess this proves there is a market for Hofmann forgeries! What do you think of Steve’s purchase? Check out our conversation, as well as Steve’s other conversations…. Mark Hofmann forged a document that attempted to tie Sidney Rigdon & Solomon Spalding together. Steve discusses why it is a forgery.